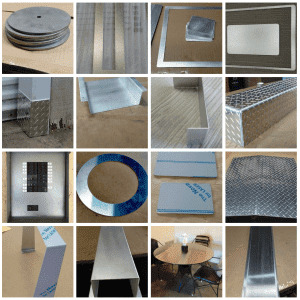 Whenever a customer is seeking for a custom cut metal part he eventually will find us, MetalsCut4U. which will be cut and bend to your specs. I.e. Angles, Z-Channel a U-Channel or a Tray / Box. In this particular case the customer needed two cut outs out of the metal rectangle to be used as a cover for a sign/permit he will have to but up. - to estimate the cost for him. 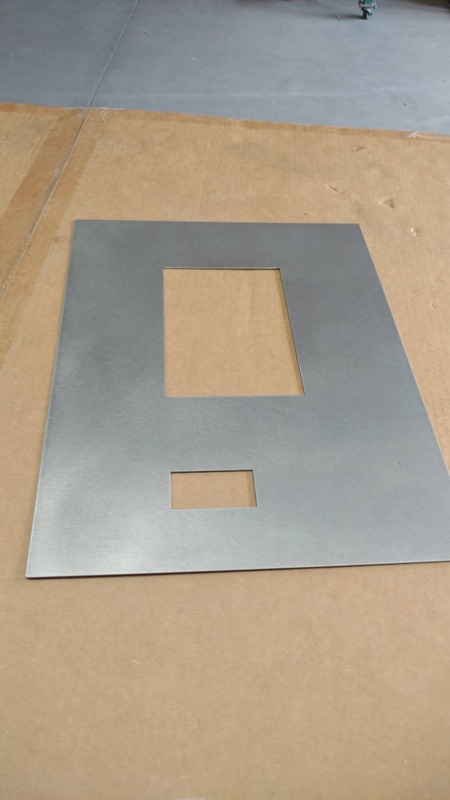 and based on that drawing we where able to generate a free quote for his individual custom cut stainless steel sheet metal part.